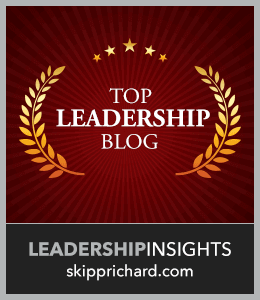 The Linked 2 Leadership Blog is designed to serve professionals interested in Leadership Development, Organizational Health, and Personal & Professional Growth. The L2L Contributing Authors are selected from qualified members of the Linked 2 Leadership Group on LinkedIn. With over 27,000+ members, we continually add 150 new members to our group each week. 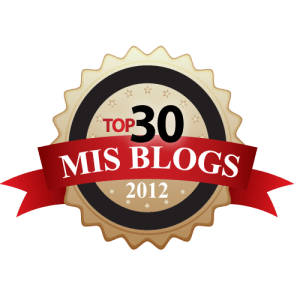 From this pool of qualified professionals comes a special invitation from L2L Executive Director Tom Schulte who personally hand-selects each author based on their profile, experience and expertise. Tom is also the Editor and Publisher and carries a passion to “equip equippers” so that each Contributing Author’s experience, expertise, and heartbeat can be shared with global professionals. We use WordPress.com as our blogging platform, so you need to be a member of their community to be an L2L Blogger. If this is you, then follow the steps below except for the WordPress.com registration part (Start with Step 1 and Step 3). “I am not registered with WordPress.com community” (Note: This is not the WordPress.org software that may be attached to your own website). Start with Step 1. 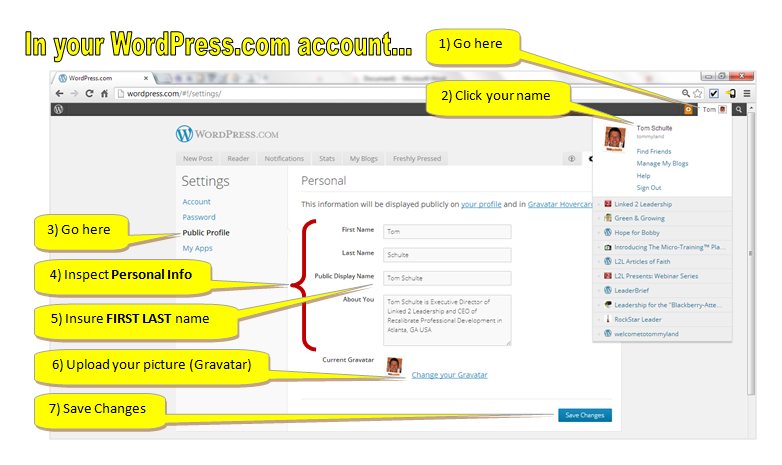 You can become a blogger on the WordPress.com platform by following the steps below. Receive an email invitation asking you to join WordPress.com as a contributing author to the L2L Blogazine. Register there and check your email for confirmation. Create your easy online author profile. SEE PICTURE INSTRUCTIONS BELOW for creating your public profile. A) Fill in the bio section there. B) Upload your pic (aka “Gravatar). Write directly from your own experience, with your own personal language, and from your own heart. This is what your readers want to hear: your voice. Our editors will edit your work, add a picture to your blog post, and help make you look great. We will create a signature block byline from the info on your L2L Contributing Author application that looks like the signature block below. * Due to serious Google Panda restrictions on “authentic content,” duplicate postings on the web are severely punished and this can negatively affect both your site and L2L rankings. So unfortunately, you may not repost your L2L post on your website or elsewhere. 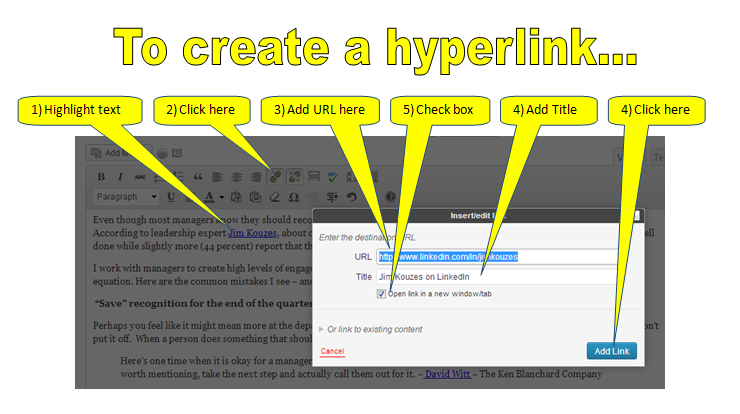 However, you may write an original “teaser” snippet (not copied from the post) on your site with a link to your L2L article. If your L2L post is found elsewhere on the web, unfortunately it will be removed from L2L and your Contributing Author status may be in jeopardy. Please call me if you have any question at 770-945-4880 (770-490-5289 cell) or reach me on skype: tommycast. Or contact me via our Contact page.